Two centuries after Napoleon’s defeat, the French finally take Moscow. But the glory goes especially to the players who hail from France’s former colonies. In the final match, only three out of 14 players were white. FIFA is happy about the US$ 6 billion in revenues. Russia’s good organisation overshadowed the "scandal" of its annexation of Crimea. Final price tag for stadiums and infrastructure: US$ 50 billion. Moscow (AsiaNews) – In the end, the French took Moscow. 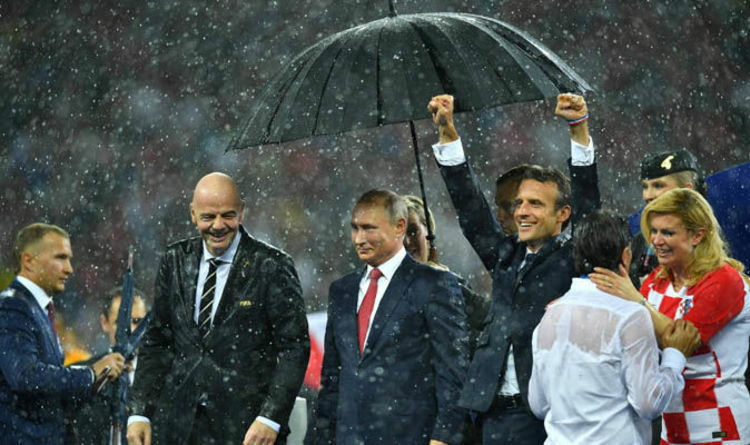 The Jubilation of Emmanuel Macron, standing on the table in front of Tsar Putin after his team scored, is a kind of compensation 200 years after Napoleon’s debacle. The Corsican emperor saw the city burn from the walls of the Kremlin and was forced to go home with his tail between his legs, followed shortly thereafter by Tsar Alexander who paraded with his hussars under the Arch of Triumph where France’s crowds of football supporters march nowadays. This time, the War and Peace saga was limited to sports. Russia’s heroic resistance managed to reach an honourable place (quarter-final), yielding only on penalties to their Western Slavic cousins of Croatia, who were thrashed by the French. In reality, everyone won. Europeans, East and West, won after getting rid of the presumptuous Latin Americans. But on a closer look, the glory of victory goes to the Africans, dressed in the blue jersey of their former colonial masters. In the final match, out of 14 players who took to the pitch, only three were white. Outcome aside, many came away from the Cup with a smile painted on their faces given its economic and organisational success. At the press conference before the final match, FIFA’s chief finance officer, Thomas Peyer, gloated over the 2015-2018 financial revenues, sporting a US$ 6 billion surplus earned mostly in Russia. 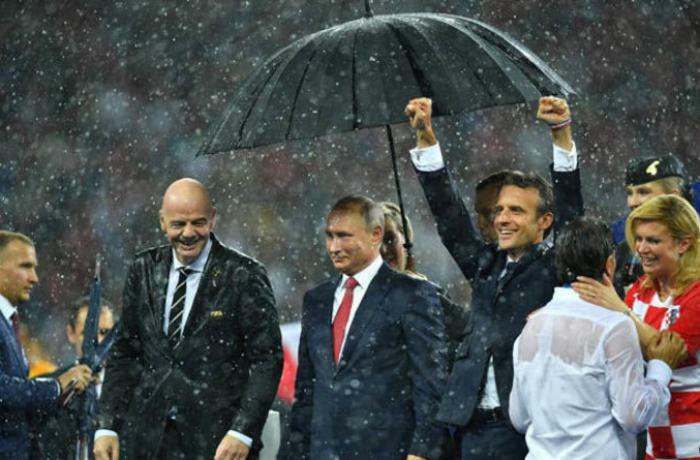 Following the clean-up after the forced resignation of FIFA president Sepp Blatter, the organisation under Italian-Swiss Gianni Infantino struck a tight deal with Putin after Russia was picked as host in 2011, which enabled it to shelter the Cup against the winds of turmoil caused by years of Russian-Ukrainian conflict. Putin also learnt the lesson from Sochi Winter Olympics, when he saw his moment of glory ruined in February 2014 by the Majdan revolt in Ukraine, to which he responded by annexing Crimea after a referendum, thus provoking western sanctions. Four years later, that wound has not yet been healed, but the Cup gave the Russian tsar a chance to start détente that will hopefully find its crowning moment in the Helsinki meeting with the US President Donald Trump, coincidentally a day after the World Cup. Whilst this might not mark the end of sanctions, some hope that the United States will at least accept the status quo in the Crimea and favour a settlement to the conflict with Poroshenko's Ukraine. To achieve international rehabilitation and show everyone the pride of a "hospitable, peaceful and attractive" Russia, Russians have taken on all the cost of the event: US$ 14 billion. Upgrading existing stadiums and infrastructure (in Rostov a new airport was even built) cost US$ 50 billion, as much as the Sochi Olympics. Taking advantage of the Cup’s "mass distraction effect", the Russian government tried to cover the insane costs by reforming the pension system, sparking instead anger and unrest, quickly brushed aside by the state’s iron fist. Football fans and foreign tourists were welcomed in a situation where everything was under control and the few attacks against public order were explained away as road accidents. Now, the upkeep of new stadiums will require another 10 billion for next year alone, and the Russians are hoping that the enthusiasm generated this month will translate in greater earnings for Russia’s teams playing in national and European leagues. The secretary general of the Russian Football Union, Anatolij Vorobiev, said that the Russians still tried to keep the costs as low as possible. Qatar, which will host the World Cup in 2022, has already announced that it intends to invest at least US$ 200 billion. After the Arabs, perhaps only the Chinese will be able to bear such costs.